Our Staff ⋆ Employment Resources, Inc.
Haley is an Assistant Employment Specialist for our Wauwatosa office. Previously, she served as an AmeriCorps member providing social-emotional development and academic support. During her time with AmeriCorps, she developed a strong passion for advocating and supporting people with disabilities, which brought her to ERI. She believes that everyone has a right to work and that everyone can make a unique contribution to the workforce. She hopes to continue to support others in their journey of finding meaningful employment. 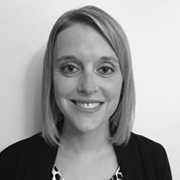 Katy is an Employment Specialist for the Northwest and West Central regions of Wisconsin. She graduated from Grand Canyon University with a BS in Elementary and Special Education. Previously, she worked as a special education long-term substitute teacher for the Citrus County Florida School District. She believes that a disability, mental or physical, should not be viewed as a hindrance but as unique attributes that can be seen as powerful assets if given the right opportunities. Alix is in the process of becoming a provider with Dane County Comprehensive Community Services and also works with the Vocational Futures Planning and Support team. 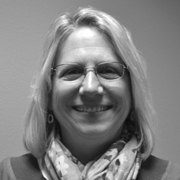 She holds a master’s degree in Rehabilitation Psychology from UW Madison and is a Certified Rehabilitation Counselor. With a background in transition services, Alix focuses her work with youth and young adults. She believes it is never too early to begin planning for the transition from school to the world of work and community life. 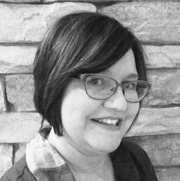 Patty is a Customized Employment Specialist in Northern Wisconsin with experience in education and human services. She instructed within the University of Minnesota Health and Human Services Department, served as an Interpretive Park Ranger for the National Park Service, represented Wisconsin’s Focus on Energy Program, and worked for several non-profit learning centers. Throughout her career, Patty developed programs to meet the diverse learning styles and interests of her audiences. As a lead wilderness therapy guide, Patty guided youth and adults with individualized therapeutic treatment plans and supported their transitions to aftercare. Patty holds a Masters of Environmental Education from the University of Minnesota in Duluth. She obtained a BS in Business Administration with an emphasis in Management and a Major in Environmental Studies from the University of Montana in Missoula. Patty is motivated to foster relevant, meaningful employment opportunities for job candidates. Stephanie started at ERI in 2006. She has worked as a Work Incentive Benefits Specialist (WIBS) in various programs while at ERI. In addition to working as a benefits specialist, she is a lead trainer for the Initial WIBS training offered by ERI. Mike is a social worker who works with people who are seeking employment as part of the Comprehensive Community Services (CCS) program. Previously, he worked on the Pathways to Independence and the Medicaid Infrastructure Grant projects, and at Yahara House, a clubhouse program in Madison that supports the right of everyone to be employed. Cordelia is an Employment Specialist and will be serving Milwaukee, Racine, and Kenosha counties. She graduated from UW-Milwaukee with a BA in English and a minor in Journalism and Mass Communication. 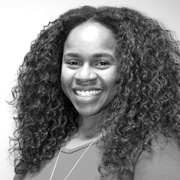 Cordelia worked as a FoodShare Employment and Training (FSET) case manager for the last 2.5 years and prior to that as an Unemployment Claims Specialist for the Department of Workforce Development. 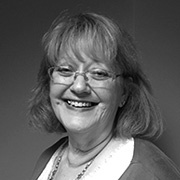 Mary is an Employment Specialist in Northeastern Wisconsin. Her past experience includes co-developing a Bariatric Surgery Program, that achieved the designation of an ASMBS Centers of Excellence. She has worked as a Behavior Support Specialist at Ethan House, a group home for court ordered adolescents. She has more than 15 years of experience working closely with employer groups, medical review teams and employee health insurance benefits. Mary believes that every life has meaning and purpose. She is passionate about helping people achieve their goals in life. Mary has a Bachelor of Arts in Healthcare Management from Concordia University, Green Bay campus. 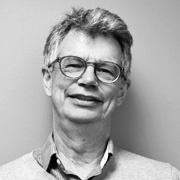 John has directed benefits and employment services for ERI since 2006. He has a Master’s Degree in Rehabilitation Psychology from UW-Madison. Previously, he worked as a case manager and employment specialist for the Program for Assertive Community Treatment (PACT) for 13 years. Heidi is the new Finance Director at Employment Resources, Inc. She is a Certified Public Accountant (CPA) and Certified Non-Profit Accounting Professional (CNAP), who has prior Big 4 public accountant experience, as well as non-profit experience. She has her BBA degree in accounting from the University of Wisconsin – Oshkosh. Currently she serves as a treasurer for the Council of Christ Lutheran Church in Deforest. 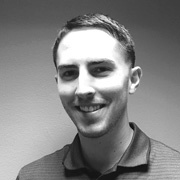 Jon is a Graphic and Web Designer at ERI. In this position, he collaborates with the team at ERI to produce effective visuals and engaging educational materials. He works to design graphics for print and web and assists in the planning and development of digital and web-based projects. He brings with him a passion for art and design and an eye for details. He earned his Bachelor’s in Computer Graphics and Interactive Media from the University of Dubuque in Dubuque, Iowa. Lisa is the Media and Quality Lead for ERI and is a member of the design team. This means that Lisa is involved with e-Learning, training, event marketing, and has various administrative duties around the office. Previously she worked for non-profit associations coordinating and executing projects for print and web-posting. Lisa’s eye for detail was honed over the years working in retail advertising, printing departments, and educational settings. She received her BA with an emphasis in Communication Arts and Art History, and she believes that learning should be never-ending. Megan coordinates WDBN outreach and training projects and is a work incentives benefits specialist. 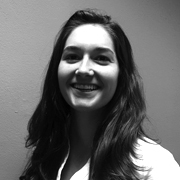 Megan holds a Master’s of Science degree in Rehabilitation Psychology from the UW-Madison. Megan is a Certified Rehabilitation Counselor (CRC). She attended the Wisconsin Disability Benefit Network (WDBN) 10 day training for Benefits Specialists in October/November of 2006 while she was working at Employment Resources, Inc. as an intern. 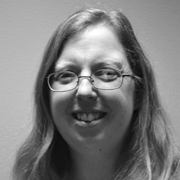 Her many past experiences working with individuals with disabilities include internships working at the Division of Vocational Rehabilitation (DVR), the Wisconsin Council of the Blind & Visually Impaired, and Community Living Alliance (CLA). Jennifer worked as a special education teacher, volleyball coach, ballroom dance instructor, and Gay-Straight Alliance advisor in Milwaukee Public Schools for over a decade. She holds both a Master of Special Education Degree and a Bachelor of Arts in Psychology. Jennifer firmly believes that all people have the right and ability to contribute to their community in a meaningful way and should be provided the supports they need to do so. Her progression from working with students on their goals in school to working with clients on their goals in the workplace has been a natural and fulfilling career move. Theresa is a long-time promoter and advocate for programs and services for people with disabilities. She brings extensive experience in marketing, design, and promotion; information management; website administration and design; and online learning development and training. 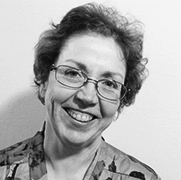 She currently oversees ERI’s information management, marketing, communications, and training activities. Theresa speaks on a variety of technology, social media, and e-learning topics at local, state and national conferences with a disability focus. With degrees in English and Education, Theresa has a real passion for learning and enjoys sharing her experiences and expertise in this area. As a Work Incentive Benefits Specialist, Amber provides benefit related services to beneficiaries regarding Social Security Administration work incentives. This includes public benefits, health care systems, as well as other financial issues concerning benefits received. Amber also provides ongoing training and community outreach for individuals and professionals on a variety of benefits-related information and community resources. Amber holds a Master’s of Science in Social Work from the UW-Madison. 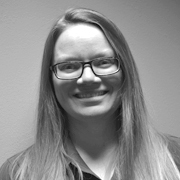 Casey joins ERI as a Benefits Specialist and will be working with our WIPA team serving Western Wisconsin. As a Work Incentive Benefits Specialist, Casey provides benefit-related services to beneficiaries regarding Social Security Administration work incentives. This includes public benefits, health care systems, as well as other financial issues concerning benefits received. Casey has a Master’s Degree from UW-Stout in Vocational Rehabilitation with concentrations in Rehabilitation Counseling and Vocational Evaluation. She holds Certifications in Rehabilitation Counseling (CRC), Vocational Evaluation (CVE), and Community Work Incentives Coordination (CWIC). Sarah works closely with the Ticket to Work team to continue to grow the program and provide consumers with high quality and efficient services. Prior to coming to ERI, Sarah worked as an intake case management specialist for the Wisconsin-Works (W2) program in Milwaukee. She is passionate about helping individuals move forward with their employment goals. She holds a B.S. degree in Human Development and Family Studies from UW-Madison. Carlos was born in Mexico and moved to the USA when he was 15 years old. He has worked in the areas of Head Start, foster care, community wellness, juvenile justice, and environmental education. Throughout the years, he has come closer to understand that each of us in this society are part of the puzzle, we all have a dignified place to be and we all have the right to explore our potential of happiness. Carlos, who is bicultural and bilingual in Spanish, is privileged to have a family, a dog, and a good community. Dan is a social worker who works with high school students with disabilities and their family by helping to facilitate a seamless transition out of school and into integrated community employment and adult long-term services. Dan holds a Master of Social Work degree from the University of Wisconsin-Madison, which he obtained after receiving his BA at UW-La Crosse in Wisconsin. Dan’s past internship and employment experiences working with individuals with disabilities include direct service for adults with disabilities, clinical experiences at The Waisman Center (Madison) within the Down Syndrome Clinic and Autism and Developmental Disabilities Clinic, as well as Dane County Department of Human Services. Dan is passionate about community participation and integration for individuals with disabilities, and enjoys helping others achieve their goals. Jolin has been a Community Benefits Specialist at ERI since June 2009. He earned a B.A. from Grinnell College with an independent major and a M.S. from the University of Wisconsin-Madison in Rehabilitation Psychology. In between these academic adventures, Jolin worked for five years at a group home for people with mental illnesses. Claudio’s expertise and interests center on learning innovative ways to convey messages through emerging media including websites, social media, and video. 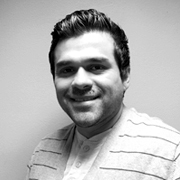 At ERI, he brings his design eye and web development experience to a variety of projects including Wisconsin Promise, Project E3, and PEQATAC. He previously worked for RedLine Milwaukee, an organization dedicated to bringing art education and galleries to Milwaukee youth. He helped expand their social media presence by bringing remarkable ideas and up-to-date expertise to their social media content. He also worked and interned as a creative for Fleishman Hillard Chicago, the House of Harley-Davidson, and Madison College. He earned a BS in Advertising and Communications from the University of Wisconsin – Milwaukee and an AA in Graphic Design from Madison College. 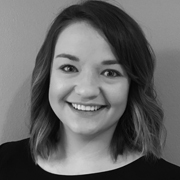 Madison is an Employment Specialist serving the eight counties of western Wisconsin: Buffalo, Crawford, Jackson, Juneau, La Crosse, Monroe, Trempealeau, and Vernon. She earned bachelor’s degrees in Spanish and anthropology from Augustana College in Rock Island, Illinois and went on to serve in civilian national service through AmeriCorps for two years. Madison is excited to apply her background in adult education, nonprofit programming, and community organizing to her role as Employment Specialist with ERI. 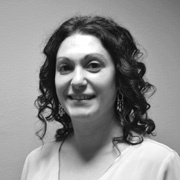 Anna joined ERI in 2012 as a Benefits and Employment Specialist. She came to ERI after spending some time getting to know us through an internship while a graduate student at the University of Wisconsin-Madison in Rehabilitation Psychology. She now holds a Master’s of Science degree in Rehabilitation Psychology and is a Certified Rehabilitation Counselor (CRC). Anna has past experience working with individuals with disabilities as an intern for both the Division of Vocational Rehabilitation and the Addictive Disorders Treatment Program at the William S. Middleton Memorial Veterans Hospital. Previously, she worked for almost 20 years at Yahara House, a Clubhouse model program, providing recovery-focused opportunities for adults with severe and persistent mental illness. Cori has worked as an employment specialist, and as a case manager at Blacksmith House Community Support Program. She holds a B.S. in Business Administration from the University of Delaware, and a M.S. in Rehabilitation Psychology from the University of Wisconsin-Madison. Jessica provides benefit related services to people working with DVR, to identify work incentives that will assist them when they begin, have a change in, or return to paid work. Previously, she supervised the Pre-vocational Work Center at Chrysalis, Inc., a small non-profit in Madison, dedicated to providing work related services to people with serious mental illness. She also provided consumers with assistance related to Social Security and county benefits. Jessica received her M.S. degree in Rehabilitation Psychology from UW-Madison. She is also a former librarian. 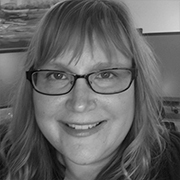 Kim is an Employment Specialist in the Northwestern part of the state. She has a Bachelor of Science Degree from UW-Stout in Hotel and Restaurant Management and has over 20 years of management experience. She most recently owned and operated her own restaurant in the small town where her family resides. She has strong community ties and believes that everyone can work and be included in their community! As a Community Work Incentives Coordinator (CWIC), Sarah provides benefit related services to beneficiaries regarding Social Security Administration work incentives. She also administers pre-driving assessments as one of ERI’s Driving Services Specialists. 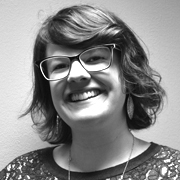 Sarah has a degree in Social Work from the University of Wisconsin-Milwaukee and a Master’s Degree in Library Science. She was a public librarian for many years in Illinois before returning to her home state of Wisconsin. Julie is ERIs new Office Coordinator. She recently moved from the upper peninsula of Michigan to Wisconsin and is looking forward to working with the staff and people who visit or call ERIs offices. Jolene provides benefit related services to beneficiaries regarding Social Security Administration work incentives. A priority for Jolene is to assist individuals in removing barriers to employment. She provides information, referrals, benefit support, planning, problem solving, advocacy, analysis of benefits, and management of benefit and work-related issues. Jolene also collaborates and organizes with other agencies in the community in distributing appropriate and accurate information to individuals regarding Social Security and work incentive programs. Jolene is a past President of WIBSA – the Work Incentives Benefits Specialist Association of Wisconsin. Jolene holds a degree in Psychology from the University of Wisconsin, Eau Claire. 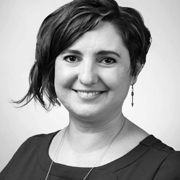 Sabrina is an Employment Specialist in Racine, Kenosha, and Walworth counties. She graduated from the University of Wisconsin Parkside with a BA in Communication. She is certified in Conflict Mediation and Resolution. Previously, she worked in education at the high school level in the long-term setting teaching both Italian and working with special needs students. Sabrina believes that it is important that her career involves helping people who are in need! 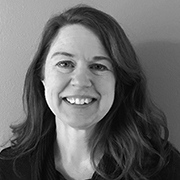 Beth brings over 25 years of experience in long-term care programs, including leadership positions with the Wisconsin Department of Health Services. As a leader in long-term care, Beth’s career has focused on people with disabilities having opportunities and participation in all aspects of community life, including employment. She graduated from the University of Wisconsin – Madison and is a Certified Public Manager. She has received recognition for her work in this field as a recipient of the Victor J. Contrucci Outstanding Leadership Award, the Elliot Shaw Award which honors a professional who goes above and beyond the call of duty, and the Die Hard Award from the Wisconsin Self-Determination Network in 2016.